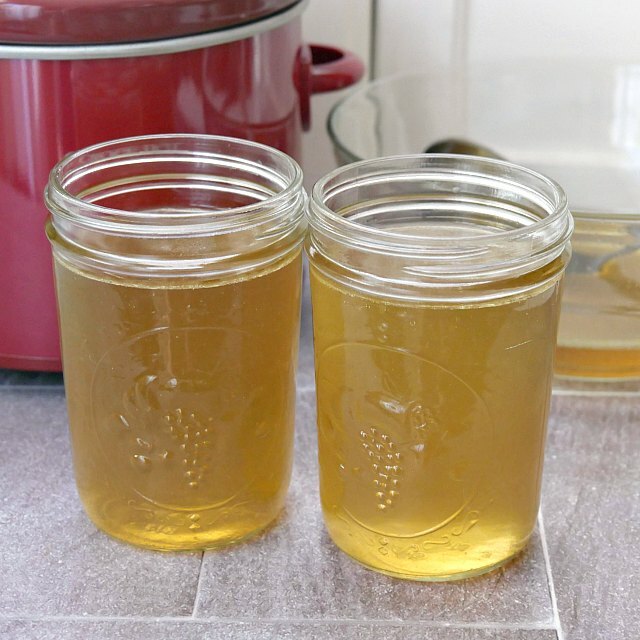 Learn how to make bone broth of all kinds using this simple step by step tutorial! I started coming down with a cold a few days ago, which means lots of “Jewish Pencillin”, or SOUP, for me! Homemade stock is so much better for you than canned broth. You can cook a lot of healthy goodness in to your stock! It is also a GREAT way to make use of leftover bits and pieces that would otherwise be thrown away. The ingredients for broth are easy: meat/bones; veggies; water; and spices! Any combination of these will work and you can even leave out the meat/bones for a vegetable broth. Meat: I have made four kinds of stock: chicken, turkey, ham and beef. I most often make chicken because I cook a lot of whole chickens, but I think that ham stock has the best flavor hands down. 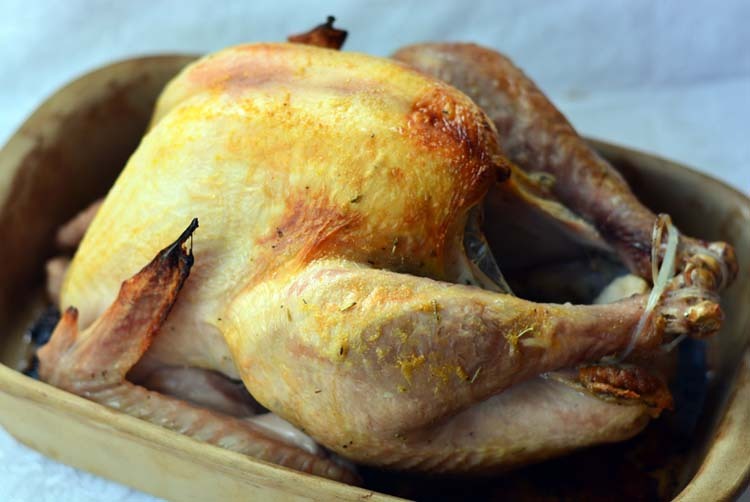 For chicken and turkey you can use anything: a whole carcass; bones (even after they've been eaten — the germs will be killed in the cooking); or entire pieces (legs, wings, thighs, breasts, etc). For ham stock, use the ham bone after you have carved your ham. Beef bones can be hard to come by, but I will use bones in a roast or buy them from our rancher when we get a beef order. If I ever have bones that I don't want to make stock from right away, I just throw them in the freezer until I need them. Veggies: I keep a freezer bag in my freezer for vegetable “parts” — carrot skins, ends of onions and celery, etc. When I am chopping veggies, I throw the “garbage” in to the bag and freeze it for making stock. I just throw the frozen veggies in to the stock pot when I'm ready to cook. You can also skip the meat entirely and just use vegetables to make veggie broth. Don't forget the garlic! Spices: Pick and choose what you like! I use basil, thyme, celery salt, rosemary and pepper depending on what kind of stock I'm making. I add salt at the very end because it tends to cook off. I add a good tablespoon but taste to preference. Skip the salt with ham stock as it's already very salty. Actually cooking stock is very easy. I either make stock in a slow cooker or on the stove. I usually make my stock in a slow cooker just because it takes less oversight. I throw in my bones, veggies, and spices and then add water. I let it cook for at least 12 hours, but prefer to get closer to 15 hours to get a nice rich stock. I start the stock on high for a few hours, and then turn it down to low once it's bubbling. 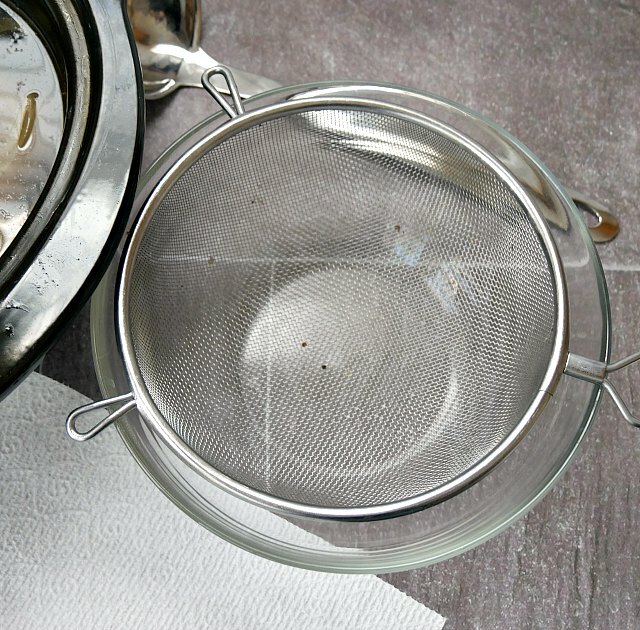 After the stock has cooled, strain it through a paper towel, cheese cloth, coffee filter or dish cloth (my preferred method!). I freeze my broth in glass canning jars in 1 cup (or just under) measurements. Cover the jars and keep the broth in the freezer until you are ready to use. I use plastic storage caps to cover the jars (they are awesome!). When ready to use just let the broth thaw and use in any recipe that calls for stock or broth like homemade soups and chicken pot pie! Beautiful broth, and I hope you’re feeling much better by now! Thanks for linking up with us on Throwback Thursday! What an easy recipe! Thanks for stopping by the Best of the Blogosphere Linky Party! Loved seeing this recipe in the Best of the Blogosphere link up! I always love to hear how others make broth. 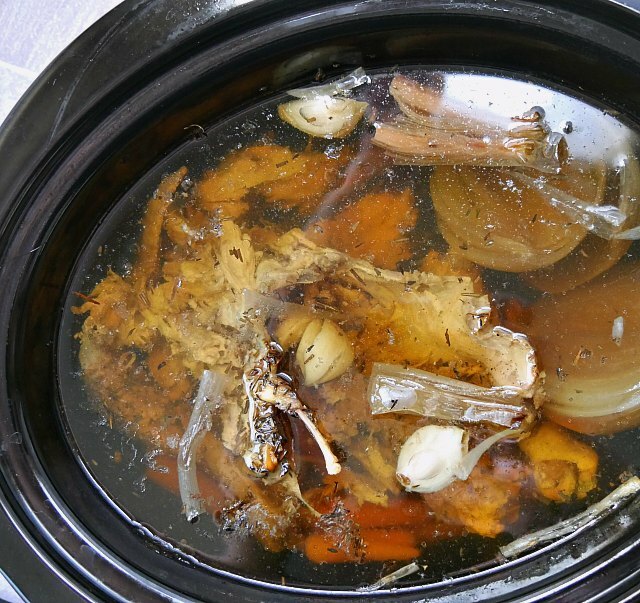 I love using the Crock Pot for bone broth too. So easy! I actually add raw apple cider vinegar to my water to help the bones release more minerals. I’m going to take your advice and save the veggie ends/pieces for broth. What a good idea! Looks pretty simple. Will definitely be trying this! 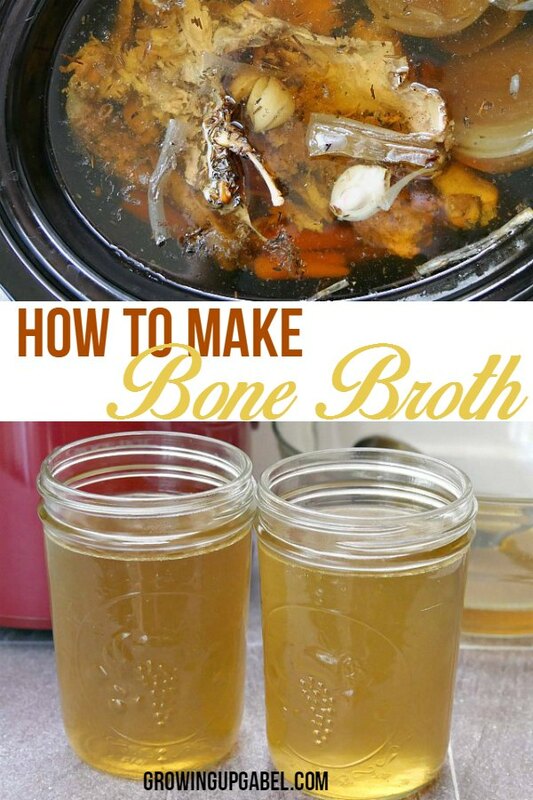 I’ve heard of the health benefits of bone broth but have never made it myself. Will definitely give this a whirl! Sounds easy enough! 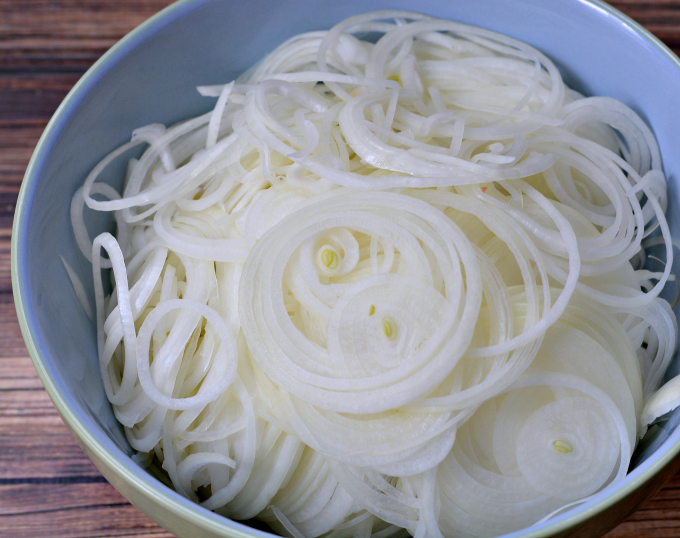 Thanks for sharing on the “What’s for Dinner” linky!